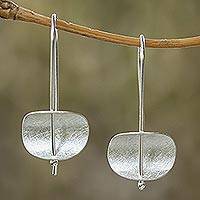 Lapis Lazuli and Sterling Silver Teardrop Drop Earrings, "Galaxy Drops"
Matta captures the majesty of the Thai sky in these gorgeous earrings. 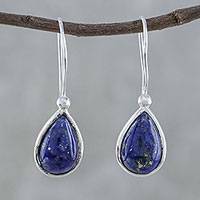 Two teardrop-shaped lapis lazuli stones showcase a tiny world of blue with gold flecks, set in sterling silver. 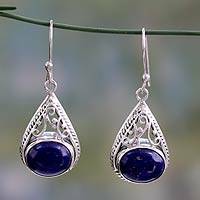 Prized since antiquity, lapis lazuli's beauty is captivating. 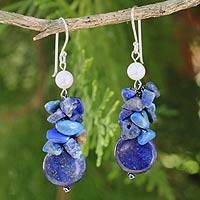 Lapis beads have been found in Neolithic burials, and the stone was favored for amulets and scarabs by the ancient Egyptians. 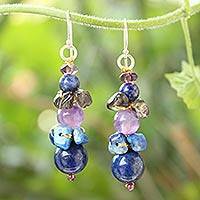 Cleopatra used powdered lapis as eye shadow, and the stone was inlaid in golden masks, statues and mirrors. 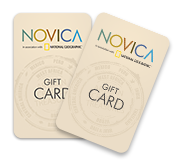 Lapis lazuli is a favorite of contemporary jewelers, as evidenced in Novica's Gallery of Lapis Earrings. 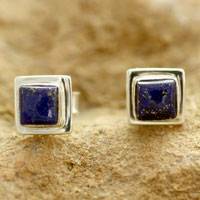 Much lapis reveals golden incrustations of pyrite which are enhanced in polished globes and teardrops. 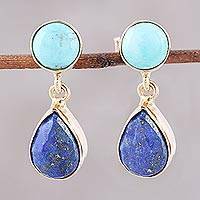 Set in gold vermeil or silver necklaces and earrings, it's deep blue tones are mesmerizing. 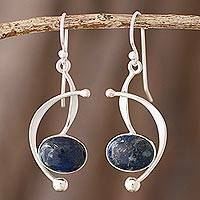 Our Gallery of Lapis Earrings features handmade designs by artisans and jewelers around the globe. 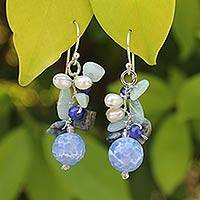 Our selection includes many types of lapis earrings like dangle, drop and dramatic chandeliers. 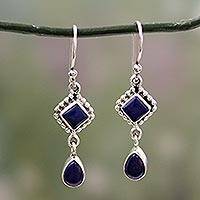 We invite you to browse through our collection for the perfect pair of lapis earrings.